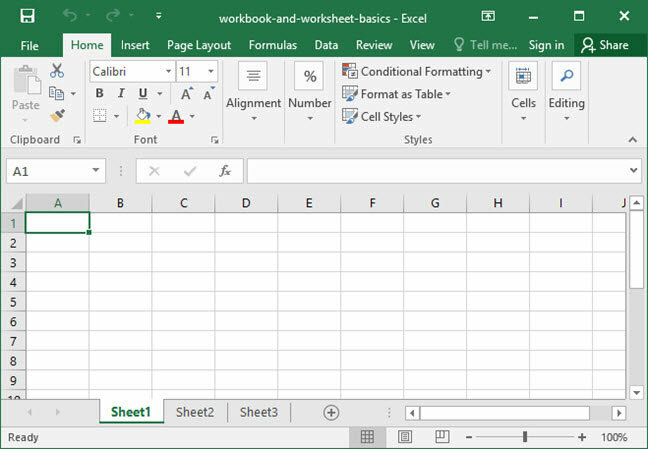 In Microsoft Excel, files are organized into workbooks and worksheets. In this tutorial, we'll define these two terms; take a look at how to open, close, and save workbooks; and discuss rearranging and copying worksheets. A workbook is just a fancy name for a Microsoft Excel file. These two terms — "workbook" and "file" — can be used interchangably. 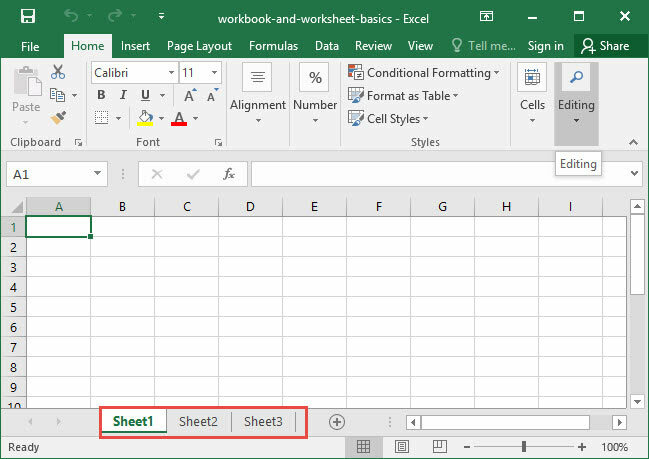 Throughout these tutorials, we'll use the term "workbook", since it's Excel-specific. 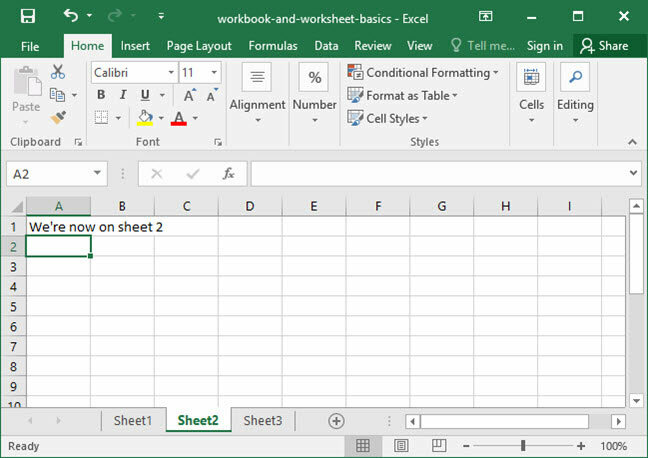 Like many other computer programs, Excel allows you to open and close workbooks, as well as save them to your computer. All of these functions are accomplished using the File menu, which you may also be familiar with from other programs you've used. Navigate through your computer's folders to the file you want to open, then click "Open"
Navigate through your computer's folders to the location in which you'd like to save your workbook, then click "Save"
Notice that each worksheet has its own name; by default, a workbook will open up with three worksheets, called Sheet1, Sheet2, and Sheet3, respectively. But you're free to add, delete, and rename these worksheets as you see fit. You can navigate between worksheets by clicking on one of these tabs, like in the screenshot below. You can also use hotkeys to do it: Ctrl + PgUp or PgDn on Windows, or Fn + ⌘ + or on a Mac. Right-click a worksheet tab to bring up the worksheet options menu, which will allow you to manipulate the worksheets in your workbook. 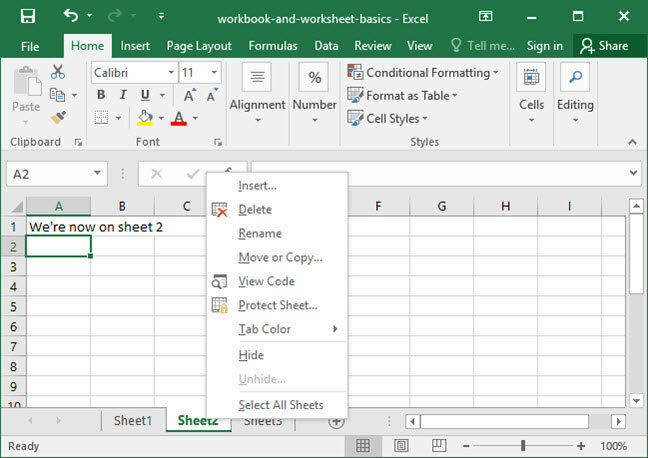 Here, you can Insert, Delete, Rename, Move, Copy, or Hide a worksheet, as well as a few other features (like changing the color of a worksheet tab). Ensure "Worksheet" is selected and press "OK"
Select the name of the worksheet you would like to unhide, then press "OK"
That's it! 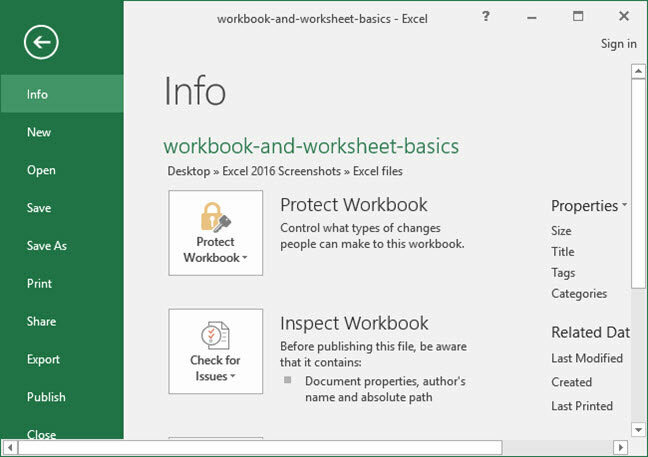 You can now work with Excel files, save and open workbooks, and manipulate worksheets. Questions or thoughts on any of the above? Let us know in the Comments section below.